Temple, Texas Police Detective Barry Marshall hunts for a hardened serial killer with the ultimate endgame, one intended to strip Marshall of everything he holds dear - his career; his wife, Erin, and his reputation. Unbeknownst to Marshall, the killer had dated Erin years ago, and seeing Marshall with her pushes him over the edge. Determined to punish Marshall for stealing his beloved, the killer plays a deadly cat-and-mouse game of murder. As the body count rises, Marshall is forced to face his worst nightmare. Twenty-two years ago, Ike Rossi’s life was shattered when his parents were murdered in cold blood. He surrendered his football scholarship and returned home to find their killer and raise his nine-year-old sister. Now, the crime of a local 10-year-old genius, Jack Cole, threatens to unearth old wounds rather than provide the closure Ike desperately wants. Everything comes at a cost.... 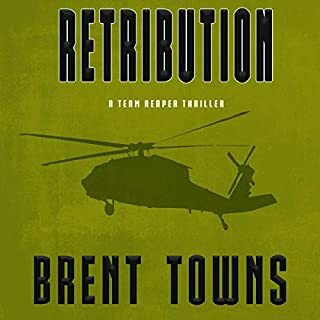 Author Brent Towns keeps the action coming thick and fast, let’s you up for a breath and then drags you back in for more. After he is betrayed and shoots the two most powerful men in the Irish Mob, John “Reaper” Kane is forced into hiding. He thinks Retribution, Arizona, is the perfect hiding place, but he is wrong. Underneath the old, crusty surface of the dying town, hides the Montoya Cartel, for they use it as a funnel to ship their drugs across the border. Seriously Could Not stop listening!!!! It's 1977, and veteran L.A.P.D. cop Calico Jack Walker and his rookie partner Tina Tamiko are planning to make Calico's last shift on the job something special. But plans, as they do, never run smooth because Walker and Tamiko are good cops no matter what the cost - even if they're LA cops, in uniform, in their patrol car, on duty, and way out of their jurisdiction on the Las Vegas Strip. When a major crime is going down, good cops never hesitate. A teenage girl is boldly kidnapped from her school, minutes after her mother dropped her off. While a frenzied search begins, bringing together the entire police force of the city that never sleeps, for Detectives Baxter and Holt, this isn’t a crime like any other - it is personal. Detective Holt is faced with an inconceivable decision: Sacrifice everything he holds sacred or jeopardize the life of an innocent girl. But the man holding all the cards in this game of life and death isn’t willing to negotiate; he’s only willing to kill. Zach Monaghan just became a target. Under witness protection from his father’s whistle-blowing, his reckless desire to win back a normal life compels him to run away. But escaping his new identity won’t last long if two contract killers catch up to him. Richard “Birdman” Byrd has worked hand-in-hand with his tormentor Gorski for years. Siphoning away money and sending assassins to hunt down the Monaghans could be his only way out of the crooked partnership. But if Birdman doesn’t watch himself, the verbal abuse he’s received for years could turn deadly. A serial killer is on the loose in Minneapolis and the head of the investigation, Minneapolis police Lt. Jake Waschke, is feeling the pressure to find him. To make matters worse, the killer strikes again, this time across the river in St. Paul, and his victim is the daughter of a prominent politician. Just when the investigation seems to be going nowhere, the police catch a break when the killer strikes yet again. 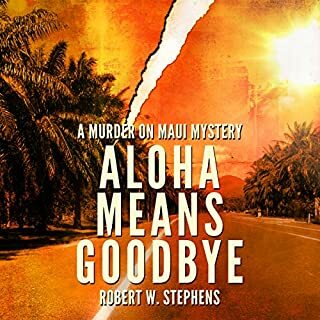 When Jake Boulder is asked to help investigate the murder of Kira Niemeyer, he soon finds himself tracking a serial killer who selects his next victim in a most unusual manner. As the body count rises, Boulder has to work with the police to identify the killer before more lives are taken. What ensues is a twisted game of cat and mouse. Only Boulder or the Watcher can survive. Ex-cop John Jordan, now a prison chaplain in the Florida Panhandle, witnesses the bloody death of Potter Correctional Institution inmate Ike Johnson. But what exactly did he witness? Murder, accident, or suicide? Jordan discovers that in the closed society of captives and captors no act goes unseen, and no one takes kindly to a cop in a collar. He soon finds his reputation, his career, and even his life are at stake. A body. A sacred national park. It's classified.... Park Ranger Dana Madison isn't a homicide detective anymore, or is she? Singled out by the President to investigate a string of mysterious deaths in the country's national parks, Madison has no idea why she was selected, or why she's leading an unlikely cast of characters in a frantic search for answers. When the chase leads her deep into the Rocky Mountains, Madison discovers potential motives that shock her. How do you catch a killer who knows your every move? She drew the curtains and returned to the kitchen where she removed the bottle of vodka from the freezer and reached for the large kitchen knife. If he dared to come back, she'd be ready for him. When a body is found hanging in the remains of a dock-side warehouse, detective Kate Matthews is called to the scene. Can a father murder his only child? Kyla Gardener’s dead body is found on her bed one early morning. She had been stabbed multiple times. Her father, Paul, has blood stains on his shirt, and his fingerprints are all over the murder weapon. Paul has no memory of what happened. He's haunted by the memory of a kidnapping case gone wrong. 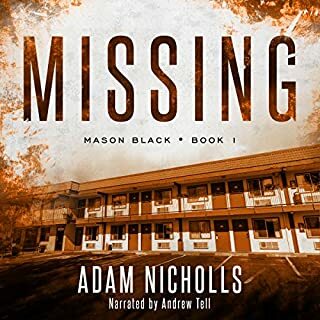 Not wanting history to repeat itself, Detective Matt Brady struggles to solve the disappearances of seven young women, but he quickly finds himself pitted against a criminal organization that knows as much about police procedure as he does; an organization that will do whatever it takes to stay one step ahead of him. His troubles are compounded when a young veterinarian injects herself into the investigation and is targeted to become victim number eight. When he tries to protect her, he finds himself in the crosshairs of a professional cop killer. Can Brady solve the case in time to save his new love, or will this investigation be the death of both of them? 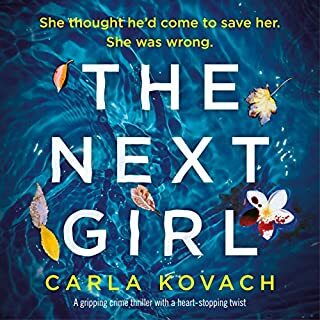 Yes definitely, this is a brilliantly written compelling thriller, action packed, clever and with twists and turns which are guaranteed to keep the reader guessing until the very end. Everyone knows that the person we become in life can be affected in a moment, by a word, or circumstance. The paths we take as a result and their consequences are sometimes, only discovered after the passing of time. These life-changing moments or words, for some people are stamped in their mind forever, silently festering and waiting to emerge, bringing back memories, which cloud the present. This book is even more enjoyable because, whilst writing it, the author has been able to draw from his wealth and variety of personal experience in police and law, among which is his time as a Temple patrol officer and, Assistant General Counsel for the Texas Department of Criminal Justice. This is a really gripping thriller to listen to which is brilliantly narrated by Eddie Frierson. It is set In Temple, Texas and Police Detective Matt Brady, assisted by FBI Special Agent Steve Casani, is investigating the disappearances of five beautiful women. Desperate, with no leads and the number of missing women growing at an alarming pace, Matt is desperate for answers. 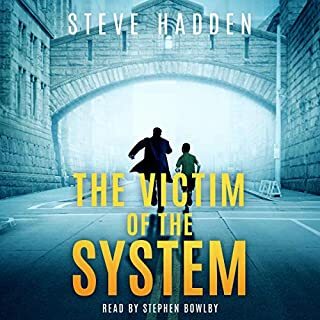 This audiobook is a real treat for anyone who loves of action packed crime thrillers. The writing of this book is so elementary and amateurish, that it's hard to believe it was actually published. Several times I checked the chapters to see how much longer I had to endure this assault on my brain. (note: I believe in finishing a book... even an audio book). Numerous times I shook my head in disbelief at the inane explanations. 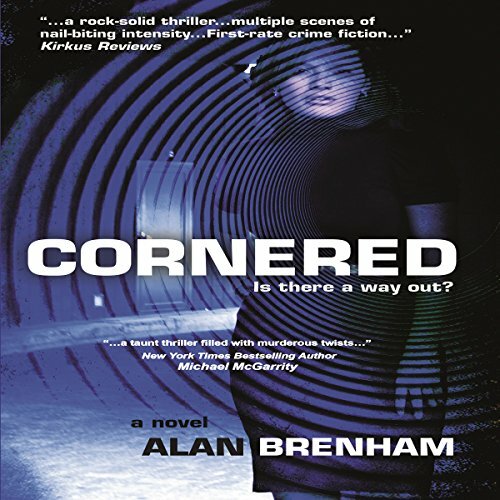 Has Cornered turned you off from other books in this genre? I've purchased 32 audiobooks through Audio.com in the past year. I always have an audiobook going whenever I'm driving. 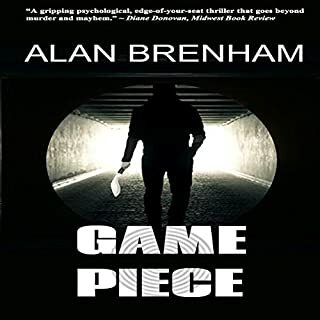 I will continue to buy thriller, police procedurals, & mystery audiobooks, but I will never buy another book written by Alan Brenham or read by Eddie Frierson. Eddie Frierson is probably a nice person... he should not ever narrate another book, however. Eric G. Dove, Ron McLarty, Peter Hermann are just a few of the narrators I follow purposefully. They all know how to voice a female or childs tone without the ridiculous falsetto. Mr. Frierson'sThe idiocy of the classic N.J. mobster voice... the brain splitting little child's voice... I'm sorry, this is just the worst. I am truly sorry to say but there are, quite literally, NO REDEEMING QUALITIES in this book. The writing is bad, the narration is horrible, and the story is a straight, predicable line. Do yourself a favor, if you are at all tempted to purchase this book, listen to as much of the narration as they'll allow you. If you hear any of the characters voiced, you will run and hide. Bottomline... I've purchased books that were not worth a listen and I didn't return them. In all good conscience, I must return this book.